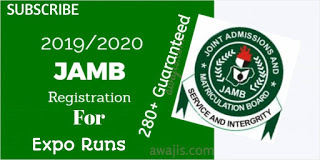 Customers can open a UBA account, transfer funds to family, friends, vendors etc, make balance enquiries, request for account statements and recharge their phone airtime. 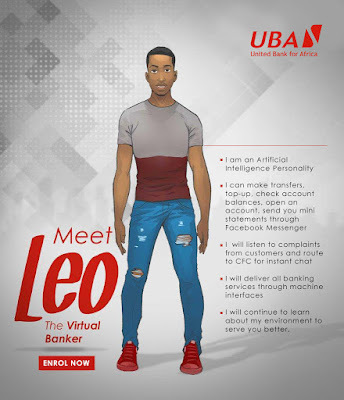 You Just Chat with LEO Banking systems have never been this simple and seamless as all your banking transactions can now be easily done; Leo would provide quick and instant responses to anything you demand, making a way for you to bank anywhere and anytime, virtually; as long as you have access to your facebook. You can chat with Leo on Facebook Messenger helping you make your day to day transactions stress free. For instance; if you need to transfer funds or buy airtime immediately to complete a call; just head to Facebook Messenger, chat with Leo and he’ll help you pay, in minutes. There’s really no need to walk all the way to the bank, when you can simply take out your phone, chat with Leo and receive immediate and intelligent responses to needs and demands. There’s no smarter way to bank. Chat With Leo! For more ways LEO can make your life easier, click here! 0 Response to "LEO is one banker making all the difference this Valentineâ¦"